Come pick a new affectionate and clever parakeet friend! We have a large healthy selection of Fancy Whites and Yellows! Parakeets, also known as budgerigars, are the most popular species of bird in the US. They are small and easy to care for small members of the parrot family. 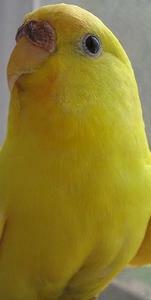 Parakeets can become good talkers or mimics.